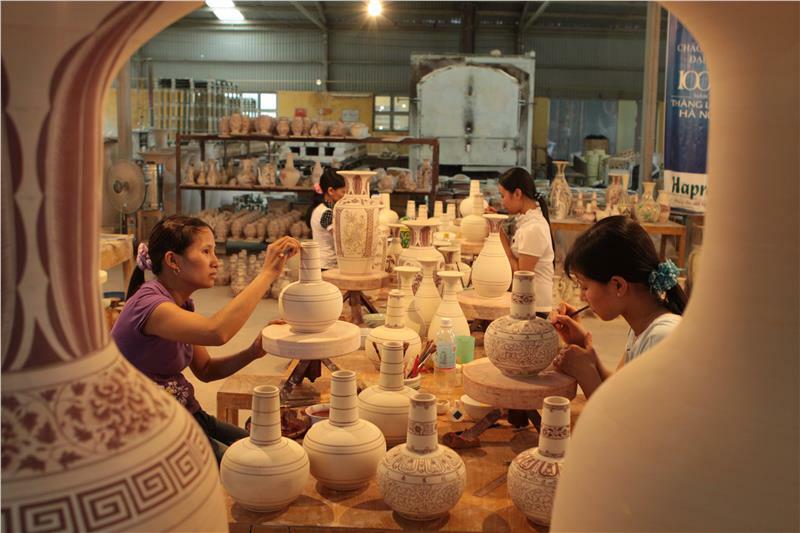 Hanoi Traditional Craft Village Festival 2015 will take place from October 1 to 4 at Quan Ngua Sport Palace Van Cao Street, Ba Dinh, Hanoi. 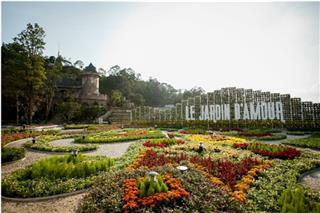 The festival will be a chance to introduce traditional handicraft products of villages in and round Hanoi City. With the theme of "Traditional quintessence - Integration and Spead", Hanoi Traditional Craft Village Festival 2015 will take place from October 1 to 4 at Quan Ngua Sport Palace on Van Cao Street, Ba Dinh District, Hanoi. 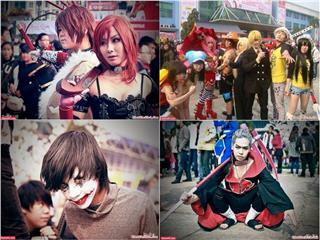 This year, the festival is designed in both traditional and modern style with typical cultural features of Hanoi. 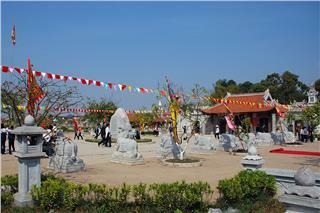 There are nine areas in the festival, as nine groups of activities along with some sideline events: main stage area, craft villages area, display area, culinary area, tourism exhibition area, area for sponsors, and area for tourism promotion... As being one of festivals in Hanoi designed traditionally and modernly with outstanding cultural local imprints, the festival is honored through images and theme. 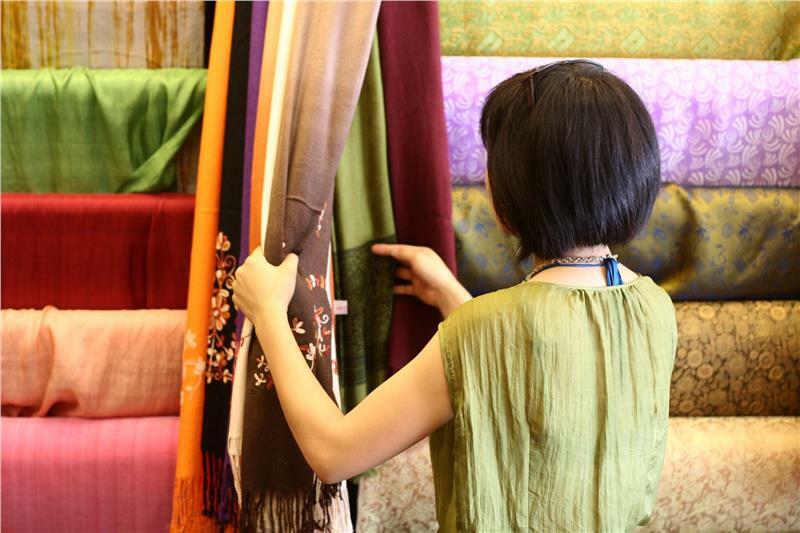 The space of Hanoi Traditional Craft Village Festival 2015 will be divided into 9 zones, corresponding to 9 groups of activities with a number of activities on the sidelines. 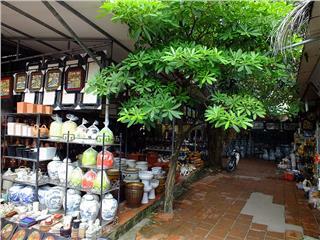 In particular, there are about 150 booths of traditional craft villages and businesses in Hanoi. 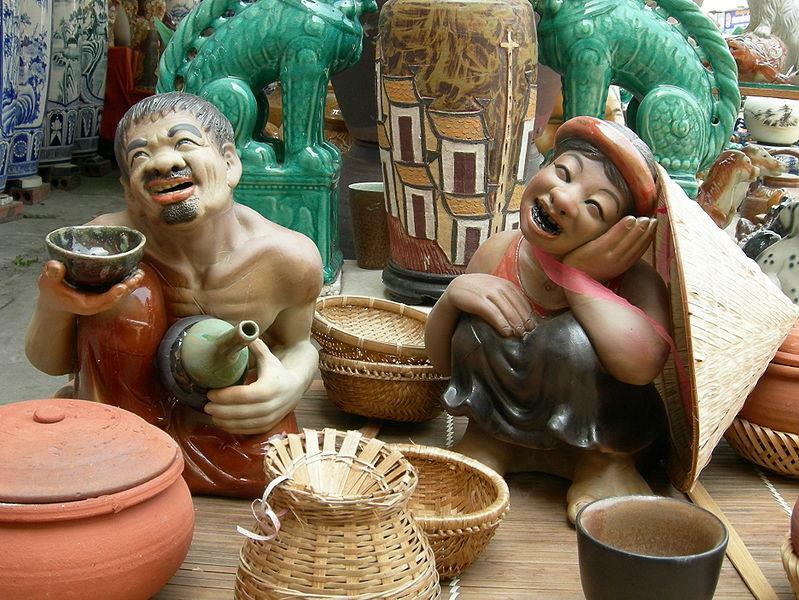 There are displays and exhibition of products of traditional craft villages in Hanoi. There are activities of showing skills of artisans from craft streets and traditional villages to serve tourists and people coming to the festival. 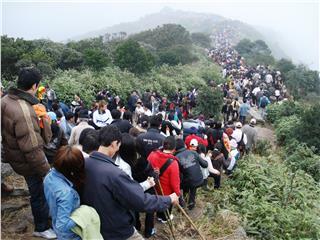 Simultaneously, visitors can join some steps in the production process. Display areas of Departments of Culture, Sports and Tourism of provinces, cities and villages in the country are expected about 30 booths. The festival attracts the participation of many units and enterprises in Vietnam such as the departments of Culture, Sports and Tourism of provinces across the country, traditional craft villages in Vietnam, facilities or businesses producing traditional crafts of international cities and capitals from countries in the framework of CPTA and ASEAN... 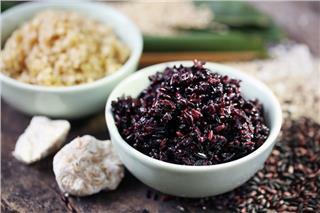 The culinary area will has about 60 booths where Hanoi cuisine will be introduced. 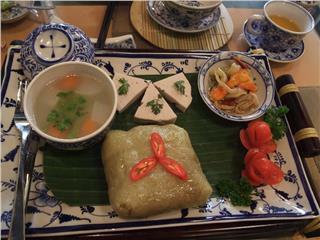 Also, there are activities of exchange and introduction of culinary art of Hanoi and cuisine of other countries. 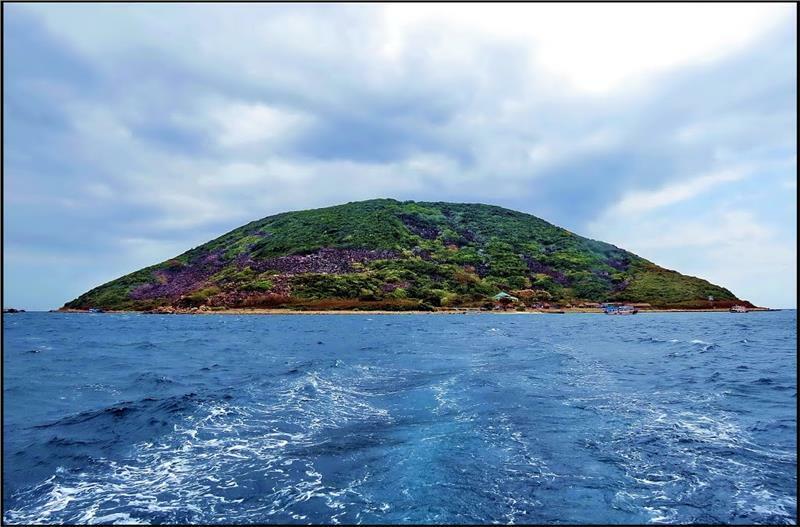 The exhibition area is expected to have 20 booths for travel agents and airlines to display and introduce tours on traditional craft villages, and some promotions. Area for sponsors will have 16 booths. 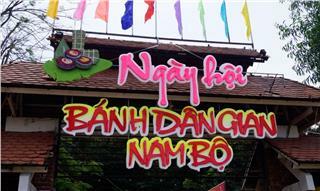 These sponsors may contribute by cash or kind to serve the Traditional Craft Village Festival in Hanoi. 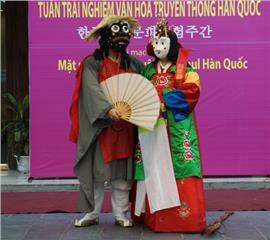 Area for promoting culture and tourism in Hanoi has four booths, including traditional games (folk games associated with traditional villages), performances, and introduction of culture and folk games such as water puppet, puppet, calligraphy, and ca tru singing... 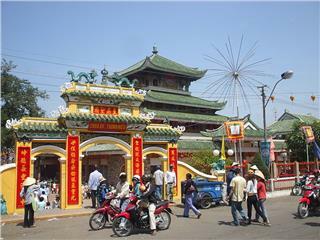 In the framework of this festival, there are some other activities such as signing activities with cities and provinces and state agencies, and associations... in Hanoi. There are also activities as traditional art performances, rituals, and some honoring ceremonies of typical traditional villages... Hanoi traditional craft village tourism festival is held annually to contribute to honoring, preserving and developing traditional handicraft villages in Hanoi, in other provinces and cities nationwide. This is also an opportunity to strengthen exchanges, culture - tourism cooperations and development between villages and local and international enterprises. 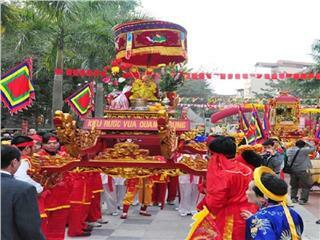 Hanoi Traditional Craft Village Festival 2014 will be held from October 9th to 12th at Quan Ngua sport palace. 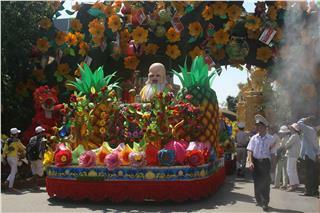 Expectedly, essence of Vietnam craft villages will be promoted in this festival. It is the first time that Italian Moviemow Festival held in Vietnam which will take place from 21-26 July in Hanoi. 12 most typical Italian films awarded in the recent film season will be screened free during the Italian Film Festival in Hanoi. 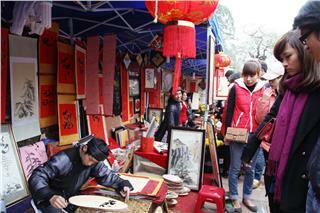 During Tet holiday 2015, Calligraphy Writing Festival in Hanoi is organized from February 8 to March 3 at Literature Lake belonging to Temple of Literature in Hanoi. 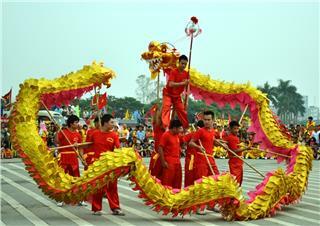 The Calligraphy Street will be promoted to become Calligraphy Writing Festival. 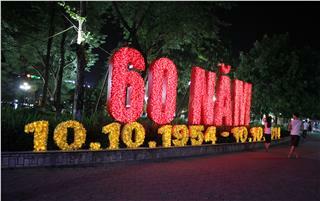 On the occasion of 40th anniversary of Vietnam Germany diplomatic relationship, German Ambassy in Vietnam coordinated with Goethe Institute to celebrate German Festival in Hanoi with interesting and outstanding activities. 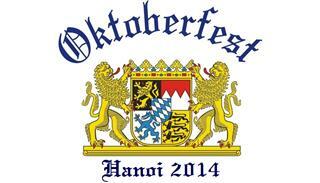 Oktoberfest in Hanoi, the German largest and most well-known beer festival will be celebrated in Hanoi from October 23rd to 24th. 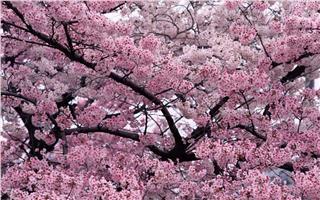 The event is held by Marriott Hotel and German Business Association. 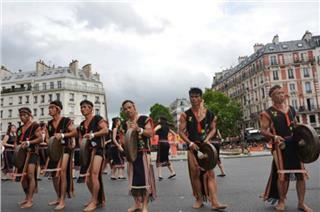 Gong of Central Highlands, an intangible heritage of Vietnam, has been introduced at the Tropical Carnival in Paris taking place at Léon Blum Square. 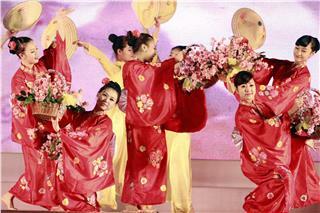 It is the first time Gong culture to be performed in this carnival. 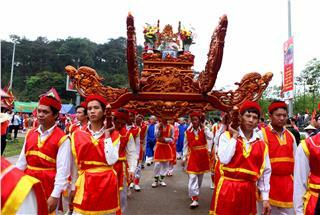 Cultural Tourism Week of Mu Cang Chai terraced field 2014 will be officially held from September 25th to 30th. 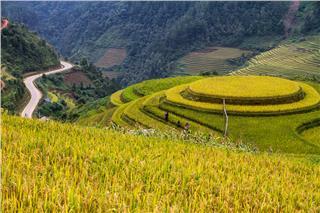 It is an opportunity for Yen Bai Province to honor Mu Cang Chai terraced field as a national heritage. 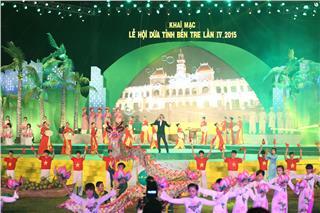 The opening ceremony of Ben Tre Coconut Festival 2015 was held in the evening of April 7, 2015. 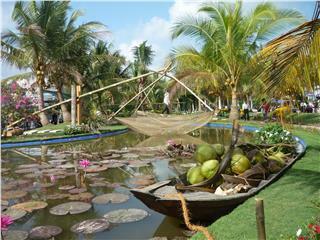 The Ben Tre Coconut Festival 2015 is held in Ben Tre Province, in southern Vietnam with the participation of senior leaders, enterprises, tourists and locals. 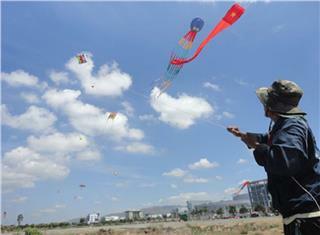 The International Kite Festival Ba Ria Vung Tau 2014 with the theme of “Flying with Vietnam” was held in Vung Tau City for the fifth time. 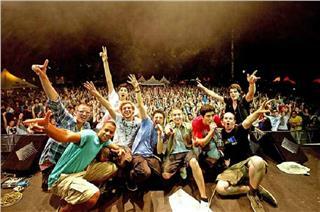 This year festival is assessed to be greatly impressive with several attractive programs and competitions. 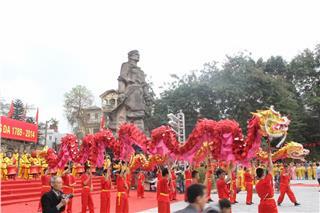 During the beginning of February 2015, many cultural activities are held in Hanoi. 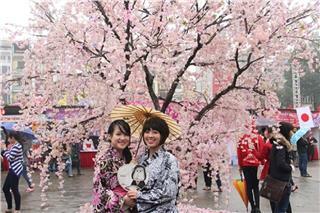 One of them is Spring Festival. 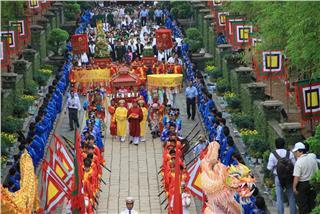 Hanoi Spring Festival is portrayed by highlights of introduction booths and promotions of unique festivals in Hanoi.